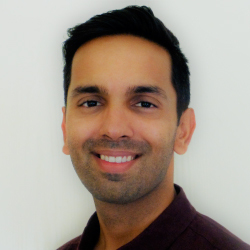 Dr Rohan Jhanji is passionate about the body’s functional movement and its ability to be enhanced with chiropractic. To attain his chiropractic education, Dr Rohan Jhanji earned a Bachelor of Science and a Master of Chiropractic at Macquarie University. To stay abreast of the latest in the field, he often takes continuing education courses. For Dr Rohan Jhanji, the most fulfilling part of being a chiropractor is being able to implement a positive change in someone’s life. “I enjoy witnessing people overcome battles with their pain and experience an overall better quality of life.” He also finds it gratifying to be able to give back to those in need through volunteer work. Dr Rohan Jhanji participated in multiple chiropractic mission projects in India. When he’s not at Back2Health Chiropractic, Dr Rohan Jhanji loves being amongst nature, especially the ocean. He also likes to play basketball and tennis. A self-acclaimed master chef, he is passionate about cooking. If you’d like to experience firsthand how chiropractic may help you feel better, contact us today to book an appointment with Dr Rohan Jhanji!